As Zabbix 3.0 is already available and its implementation is in full swing, it’s time to think what is the best way to get a productive and enlightening life with Zabbix 3.0. Perhaps, you have already checked out Zabbix Training and Zabbix Webinars created to lighten your workload while learning to apprehend Zabbix. But there’s something you need to know before you use one of these options. 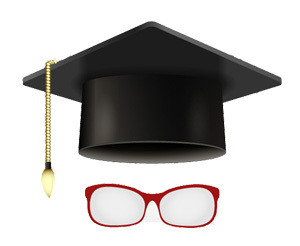 Let’s have a look on some changes we have made in Zabbix Training and Webinars. Zabbix Training consists of 2 courses – Zabbix Certified Specialist, which lasts 3 days, and 2 day-long Zabbix Certified Professional. In a 5 day period you will get to know everything from initial Zabbix configuration and functionality to scaling and performance tuning. In addition, you will benefit from live examples and instructions and the ability to ask any questions on the spot. Once you finish the course, you will become an expert in the extended functionality of Zabbix 3.0 and receive Zabbix certificate, acknowledging your new found expertise and opening up multiple opportunities for you in the IT job market, raising your value for companies using Zabbix and looking for new team members. What Will I Be Certified In Now? 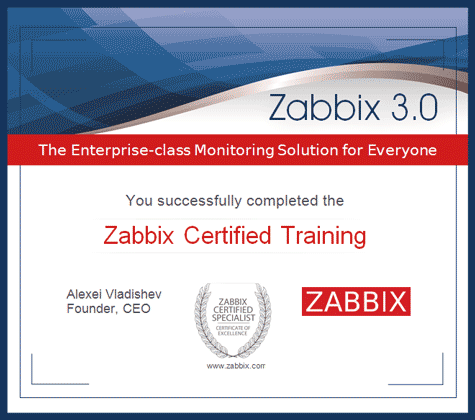 Zabbix Certified Specialist and Professional Training is now based on Zabbix 3.0. 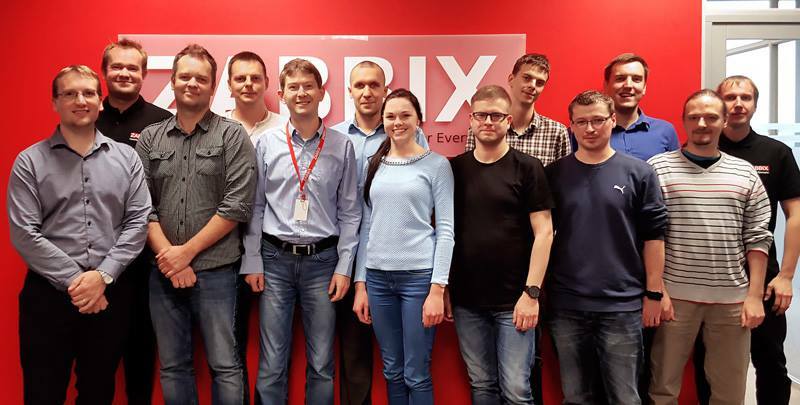 In past Zabbix training events, participants filled out a test at the end of each course, and now the course is followed by an exam consisting of 50 questions for Certified Specialist and 70 questions for Certified Professional courses to be answered, followed by an evaluation to be received. The Moodle system is in charge of the whole examination process, starting from shuffling questions to evaluating your answers and finalizing the results. Though the exam may sound frightening and remind you of school a lot, it won’t cause you much trouble if you follow the course. Our trainers are experienced and communicable people; they do their best for you to pass. But the quality of your study and the successful exam results depend on how hard you are working during the course. Once you pass, you receive a certificate confirming that from now on you are a Zabbix 3.0 Certified Specialist and Professional. The exam was introduced to increase the value of the certificate and to ensure active participation from you, guaranteeing that you will receive the best knowledge and become perfectly competent to use Zabbix to its full potential. You can choose the location of Zabbix Training at www.zabbix.com/training.php or write to [email protected] to organize courses at your premises. The fastest and easiest way to gain new knowledge is to join Zabbix webinars. They are multilingual, free and only an hour long. 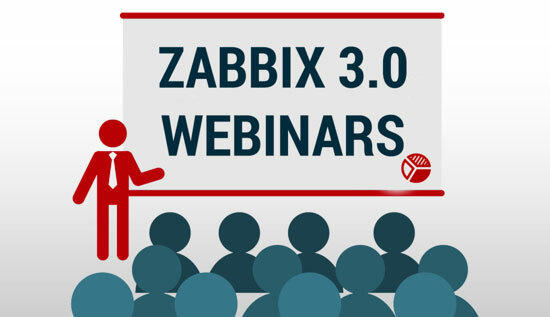 We have now introduced new Webinars dedicated to automating Zabbix 3.0. The whole bunch of things you tended to know about Zabbix 3.0 for a long time is amassed in What’s New in 3.0 webinar. Everything from Zabbix API to encryption and trend prediction can now be perceived and discussed with our best professionals. Choose the best way to get to know Zabbix 3.0. It’s worth investing your time!